While Facebook allow users to go "Live" directly from Facebook’s app or website via their webcam, or stream through software hooked up to a desktop and broadcast from PC, now the company is testing an instant “go live” feature for mobile, with the ability to “go live” within the Facebook Camera screen. The new “go live” feature starts a live video broadcast, alongside other options, like the ability to create a GIF or use Facebook Live Audio. 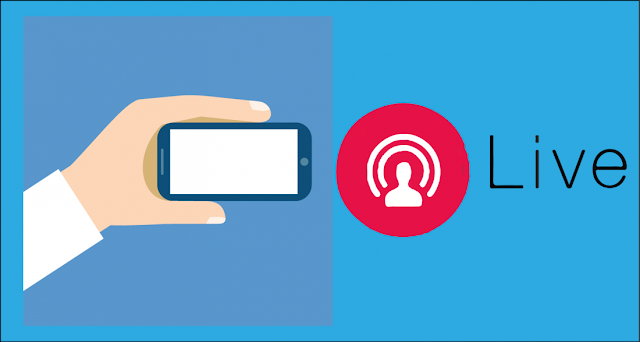 Facebook live broadcast was introduced in 2015, first within the company's iOS and Android apps, and later this year, was made available to the desktop. Afterwards, as live broadcast keep gaining traction, Facebook added a Live Audio feature, primarily designed for publishers and authors, for things like news radio - like book readings, movies and audio-only broadcasts. Albeit, the ability to “go live” from the Facebook Camera wasn't in the mix, and that was a bit of a hindrance for many. Now, all camera-related functions are on screen, with the current testing mode, including using photo filters, making a GIF, or recording live audio and live video, alongside taking a personal photo or video to share on Facebook. The feature also offers the option to go live only for "Facebook Story", instead of sharing the live video in a regular post, and can as well “go live” both in Facebook Story and post at a time. The company however maintains that this is a test, and that the feature isn't rolling out to users any time soon.